After a brief vacation that, well, wasn’t really a vacation at all, we’re back. That’s right, it’s time for a brand new episode of The Flickcast. 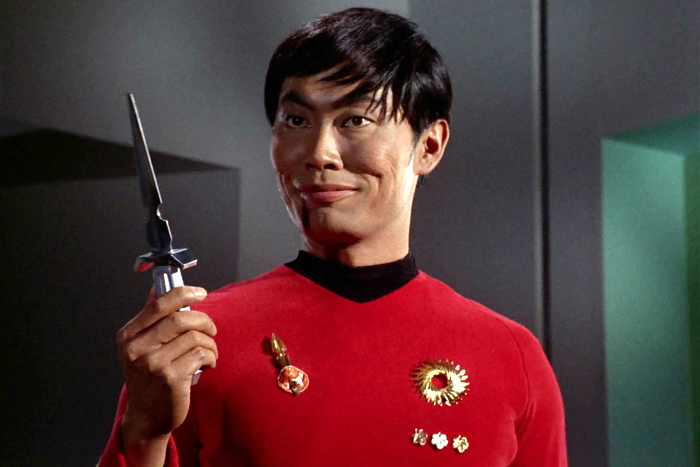 On this week’s episode Chris and Joe discuss Pokemon Go, The Night Of, the outing of Mr. Sulu and the season finale of Game of Thrones. Plus, the usual more. The boys also debut a brand new segment of the show that has something to do with beer. You’ll just have to listen. Picks this week include Chris’ pick of the movie Real Genius and Joe’s pick of the Plex media server. It’s Friday again (well, Saturday if you’re being technical) and time for a new episode of The Flickcast. Sadly, this isn’t an episode devoted entirely to the new Star Wars movie. That will have to wait until next week. It is, however, a damn fine episode. 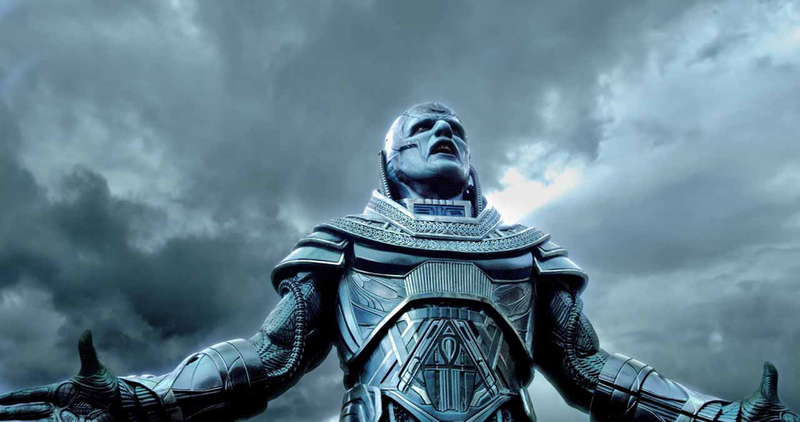 Here’s what you can expect from it: Star Trek: Beyond!, X-Men: Apocalypse!, Independence Day: Resurgence!, Mr. Robot Season Two! And a whole lot more! Don’t worry, we’ll stop using exclamation points now . . .until next time. Picks this week include Chris’ pick of the Showtime Documentary The Spymasters: CIA in the Crosshairs and Joe’s pick of the Syfy Channel mini-series Childhood’s End, based on the classic novel by Arthur C. Clarke. But if you don’t want spoilers, might want to wait to click on that link after you’ve watched. 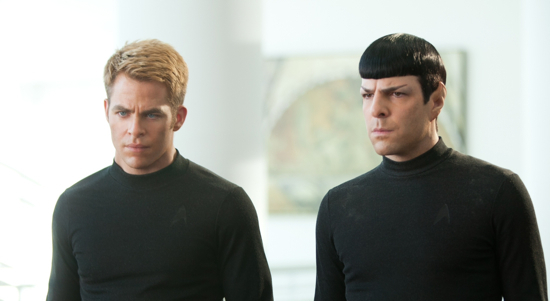 As we’re getting closer to the release of Star Trek: Into Darkness expect even more promo-type material to come out. This time around it’s a clip from the movie itself featuring the ensemble crew of the Enterprise. It’s a fun clip and helps keep up the enthusiasm for the movie’s release. The pic opens in IMAX 3D on May 15 and in 2D/3D on May 17. With the release of two completely freaking awesome trailers this week, the J.J. Abrams’ directed Star Trek: Into Darkness and the Zack Snyder directed/Christopher Nolan produced Man of Steel also release one viral advertisement each. Oddly enough, both viral videos have a similar production value to eachother. First, the viral for Man of Steel launched, with heavily distorted imagery of General Zod warning Earth that “You Are Not Alone” and Zod demands Kal-El to surrender to him or watch Earth suffer the consequences. The video is insanely distorted, something like a scrambled message from an alien world might possibly look like if our primitive video software tried to encode it. Most of the audio is pretty clear, stating Zod’s message loud and clear to the people of Earth. When I first saw it, I was ecstatic at what it looked like the Nolan/Snyder camp had put together for what could be a nice string of viral promotional ads. 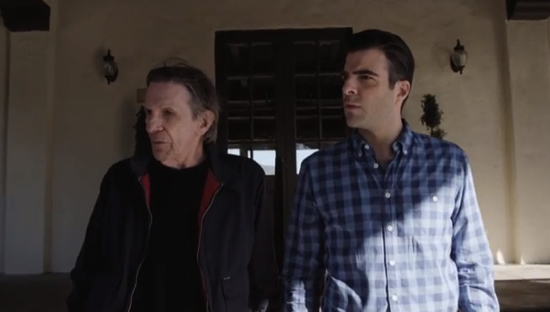 Then, on Friday, the first viral for Star Trek: Into Darkness launched. Slightly more traditional, perhaps, with a viral video, with clips from the actual movie being shown in between distorted shots of lead villain John Harrison (played by Benedict Cumberbatch). This one plays out as more like you, the viewer, are seeing this message displayed on a screen, and Harrison is telling a tale of James Tiberius Kirk, and the misfortune that lies ahead for him and his crew. 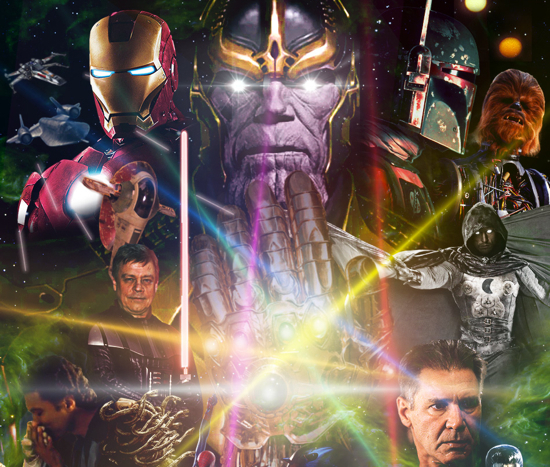 The Flickcast – Episode 207: ‘Star Wars’ Assemble! This week on The Flickcast, Chris and Matt discuss a bunch of new topics and revisit a few old ones. Some of these include the upcoming Superman reboot, Star Trek: Into Darkness, the relative merits of Scary Movie 5, 3D versus non-3D box office, boardgames, Injustice: Gods Among Us, Patton Oswalt’s Star Wars dream and a whole lot more. They also made some picks his week, as usual, with Matt’s being the ABC TV series Once Upon a Time and Chris’ being the 1980 mini-series Shogun. We’re so ready for this to arrive. Looking forward to the new Star Trek movie from J.J. Abrams becuase we know it’s gonna be great. And if this new trailer is any indication, it may just surpass the first one. A tough task, to be sure, but we think Mr. Abrams and company are up to it. 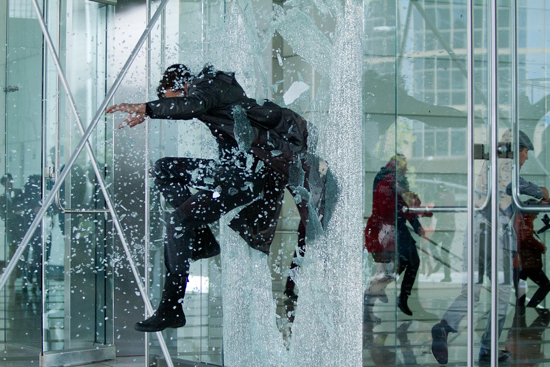 Now, bask in the awesomeness of the new Star Trek: Into Darkness trailer. After the break, of course. As we get closer to the release date of J.J. Abrams Star Trek sequel Into Darkness, expect to see more and more promotional material from the movie. This time said promotional material takes the form of a brand new trailer. 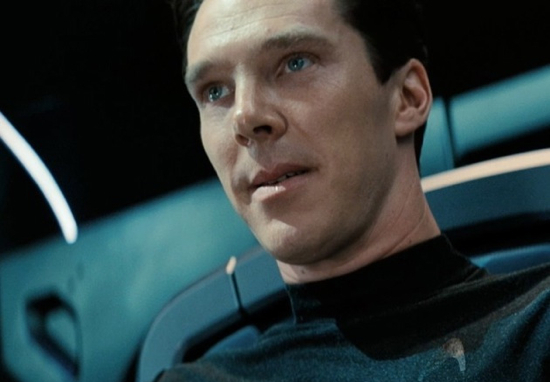 In this one we get more of what we’ve seen before but also there’s a couple new bits featuring Benedict Cumberbatch’s bad guy who may or may not be Khan or Gary Mitchell. . . Or both. Anyway, we really don’t care who he plays, he looks to be a great villain in his own right. And to be honest, we’re just exctied for the movie and can’t wait to see more. On that note, look for Star Trek: Into Darkness to hit theaters on May 17 release in the U.S. with IMAX 3D screenings starting May 15. Check out the new trailer after the break. Not much to say about this except yep, looks awesome. Count. Us. In. This episode starts the mad dash to the season finale. It focuses mainly on Lana, Kit, and Grace finding their way out of Briarcliff, as well as a closer look at Lana’s now grown son Johnny. We jump back and forth a few times between Briarcliff and current times. In the “now” timeline, the son of Bloody Face (Johnny) is in a hotel room smoking marijuana. He has ordered a prostitute that has just had a baby. He wants to breastfeed. Johnny tells the prostitute that his mother never loved him or his father. A few times throughout the episode they cut back to Johnny and the prostitute as things progress. He confesses to having major mommy issues, and eventually starts choking the prostitute. We are led to believe that he has killed her.